The Animas River, seen here at the Tacoma power plant north of Rockwood, normally changes colors with the snowmelt, and San Juan Basin Health is alerting residents that the color change could be more pronounced this year because of the low runoff from this winter’s below-average snowpack. San Juan Basin Public Health is reminding residents that the Animas River may change color as this year’s winter snowpack melts. Discoloration may be more noticeable because of these low flows in the river, San Juan Basin Public Health said. 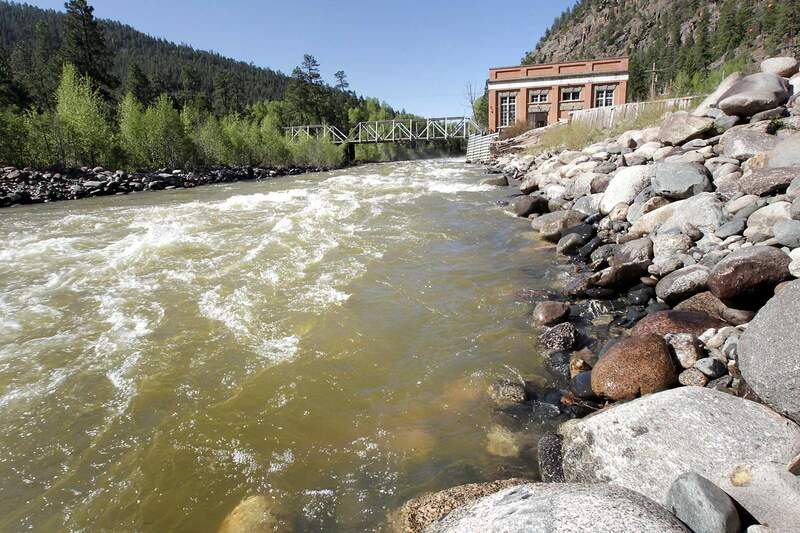 On April 3, the health department, along with San Juan County, the U.S. Geological Survey and the Colorado Department of Public Health and Environment, reinstalled water-quality monitoring technology at five locations in the Animas River and its tributaries. The monitoring stations allow agencies to view indicators of river health in real time. That data can be accessed by visiting https://on.doi.gov/2qFpztD. San Juan Basin Public Health said water samples taken throughout the Animas River indicate there’s no risk to human or environmental health from normal use of the waterway. However, the health department suggests people who come in contact with the river to wash with soap, keep a close watch on children who are more susceptible to unintentionally swallowing river water and treat water before consumption.